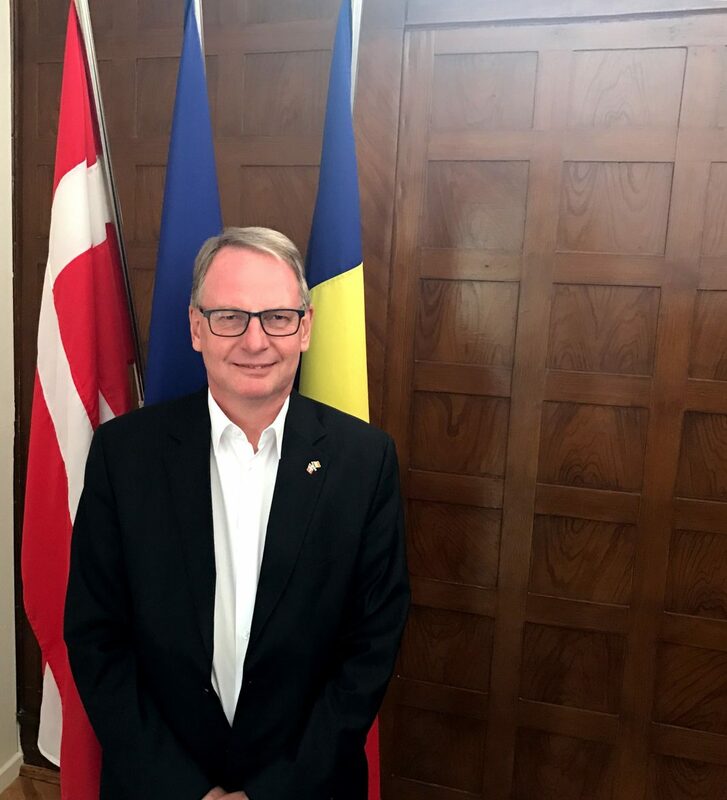 KARSTEN VAGN NIELSEN, Ambassador of Denmark in Romania: "We live in a time when the future of the EU is being discussed and various options are under debate." How would you characterise the relations between Bucharest and Copenhagen? Which main direction could you mention in this way? This year is a special one as it marks the 100th anniversary of bilateral relationships between Denmark and Romania. A century of good bilateral cooperation, between two countries situated in opposite corners of Europe – respectively in the North and in the South-East of Europe. Through the decades, Denmark and Romania have developed a shared common history and – most recently – have seen their paths coming together as member states in various international organizations, most notably within NATO and the EU. Romania joined NATO in 2004 and this year celebrates its 10th anniversary in the EU. Denmark supported Romania’s accession to the EU by twinning projects and through project financing, mainly on environment protection, regional development, agriculture and strengthening the administrative capacity. 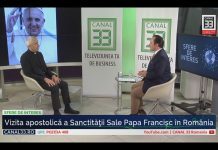 Are there any noticeable changes that happened in the relations between the two countries after Romania`s EU ascension? Romania’s membership of the EU has helped the commercial relation to thrive throughout the years as well and a large number of Danish companies are operating in Romania, particularly in agriculture, healthcare, transport, food industry, zootechnics, domestic and foreign trade. The number of Danish investors in Romania has grown significantly mainly due to Romania’s central geographical position, its high quality of human resources and a general openness to foreign companies. 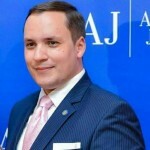 According to recent reports, industry is the economic sector which has attracted the greatest number of foreign investment to Romania in the past decade. During the latest year, Romania’s stable macroeconomic framework has been instrumental to this process. Due to the positive economic climate, Romania experienced the fastest growth rate in the EU last year. Progress has been made across a wide spectrum of sectors, most notable IT, and for many companies Romania has become a regional hub and leader in this field. As Romania is an emerging economy and the market is fertile, there is still a huge potential for development. Did the anti-corruption fight influence the perceptions about Romania in Denmark? The anti-corruption fight in Romania is followed closely in Denmark, not only by governmental institutions but by companies as well. Both our countries are EU members so from this perspective the developments in the justice field have been acknowledged and welcomed. It is important to have strong and independent legal institutions, to have a thorough enforcement of the rule of law, so that there is a safe and welcoming business environment for foreign investments. Romania has come a long way and has made significant improvements in this regard. Which role has the Romanian diaspora from Denmark in terms of stimulating multilevel connections? The people-to-people connections between Denmark and Romania are very important. There is a high number of Romanian students who are studying in Denmark or have done so. In addition, a significant number of Romanians have chosen to move to Denmark, live, and work there. In general, the interaction between Romanians and Danes is a very cordial one, based on mutual understanding and respect. It is important to avoid specific issues or incidents having a negative impact in this regard. What can you tell us about the Danish diaspora from Romania? How is this North-European category of citizens integrated into Eastern Europe? The Danish diaspora is not very numerous in Romania. The majority of Danes living in Romania are here for work or business. Most of them are here for family reasons, married to or having a Romanian partner. Also, many Danish tourists visit Romania every year. For a Danish tourist visiting Romania, the biggest strengths of the country lie in the natural diversity of the landscape ranging from the Black Sea and the Danube Delta to the high ranges of the Carpathian Mountains with a diverse wild-life not found in many other corners of Europe. When coming from Denmark these are quite unfamiliar sights. Do you consider the exchange of good practices as a two-way highway, meaning that both Denmark and Romania may import ideas and practical concepts? Sharing best practices is always a two-way highway with mutual gain. Both Denmark and Romania are countries with rich and long histories, with their own mark on the world map. In today’s troubled times, it is more important than ever to listen to each other, communicate and learn from our own or other’s past mistakes. Is the Nordic Council an edible school of thought for the further development of the EU taking into account the present context? Within the EU a large group of European countries work together to cooperate on binding rules and regulations covering a wide range of issues affecting the everyday life of Europeans. We live in a time when the future of the EU is being discussed and various options are under debate. Denmark supports a strong, inclusive European Union, which needs to show resilience and carry on when faced with challenges ahead. Denmark is also part of the Nordic Region. In addition to Denmark, the Nordic Region consists of Norway, Sweden, Finland and Iceland, as well as the Faroe Islands, Greenland and Åland. We share a common history dating back to Viking times when in the 11th century the three northern kingdoms of Denmark, Norway and Sweden emerged as a part of Europe. Cooperation among Nordic countries is to a large extent based on a shared common geographical space and similar history, languages and culture. Today, in an increasingly globalized world, the Nordic countries cooperate by developing Nordic solutions to global challenges such as climate change, sustainable development, gender equality, digitalization among others.